Saturday was our local Walk to End Alzheimer's. We have a team called "Harold's Struttin' Peacocks" in memory of my grandfather. This fun photo is our team (minus me because I took the photo!) 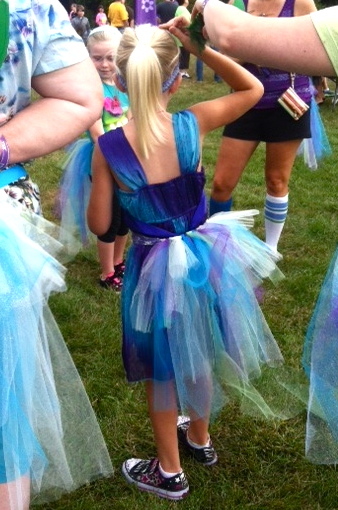 You can see some of out tail feather tutus! Despite the rain and a little bit of thunder, we walked on! Some had umbrellas, some did not. I had my cowboy hat! 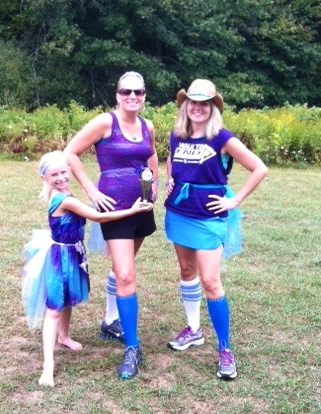 Our peacock tail feathers won us the 2013 Spirit Award!! Hopefully we can double the size of our team next year!